Most car owners didn't buy their current vehicle brand-new. A new vehicle has a lot of perks, and we certainly don't want to hinder you from buying one. But used vehicles are more popular because they are more economical. Specifically, used SUVs and crossovers are among the most popular vehicles on the roads today. SUV models are already very practical, and when you can find used ones at lower prices, you've found the jackpot. Modern automotive technology has made it possible for larger vehicles to be just as if not more efficient than traditional sedans. 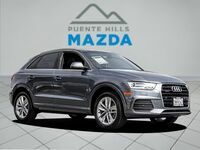 Our inventory of used SUVs is extensive and features high-quality vehicles from a number of respected brands outside of Mazda. As you might expect, our used car lot is always changing. Still, it almost always contains used Mazda SUVs like the CX-3, CX-5, and CX-9. Our used Mazda vehicles are generally never more than a few years old, and they can always be found at a great price. A 2015 Mazda CX-9 Touring can be purchased for $21,735 and a 2016 CX-5 Grand Touring (the highest trim) can be bought for just over $23,000. Just because Mazda and Honda are rivals on paper doesn't mean we won't sell you a used Honda CR-V. Despite the competition, our sales team is eager to tell you all about the CR-V and what it has to offer. A 2015 model with 51,000 miles can be purchased for as little as $21,000 (financed at $358 per month). Again, our inventory is always changing, so please contact us for the most up-to-date information. We have been known to showcase other used SUVs like the Jeep Cherokee, Ford Escape, and Chevy Equinox, but there is no telling what we could have in the future. 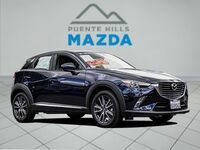 If you're looking for a used SUV or crossover, come by Puente Hills Mazda and see what we can offer you. 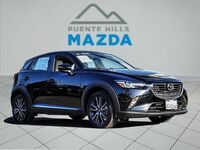 You can test drive our entire inventory here at Puente Hills Mazda. If you see that we have a 2017 CX-3 in our used stock and you have been dying for an affordable, subcompact crossover, quit wasting time! Take a few moments to sign up for a test drive and we will reserve the vehicle for you. Remember, if you buy a used vehicle as opposed to a new one, you are generally getting a much better value. A new car's worth immediately and exponentially falls as soon as you drive it off the lot. A used car retains much more of its initial value. 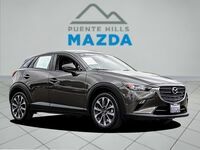 Come down to Puente Hills Mazda for your next car-buying adventure. We promise to give you nothing but the best service possible. Whether you're ready to do a test drive or you just want to take a stroll around our lot, we'll be ready for you!